INDIANAPOLIS – An estimated 1.4 million Americans over age 50 are hospitalized for severe injuries annually–most often due to motor vehicle crashes or falls. The majority have the potential for full recovery from the trauma, yet a large percentage do not reach their full potential. With the support of a new $2.5 million, five-year award from the National Institute on Aging, implementation scientists from Indiana University and the Regenstrief Institute are testing the Trauma Medical Home, a novel collaborative care model they have developed to facilitate a full physical, psychological and cognitive recovery for injured individuals over 50. The Trauma Medical Home team–consisting of a care coordinator, a trauma surgeon, an intensive care physician and other clinicians–working in conjunction with the patient’s primary care physician are central to the innovative population health management approach. Following the trauma patient’s discharge from the hospital, the TMH care coordinator conducts a home visit to review the environment, identifying potentially alterable barriers to recovery. Patient status is reviewed by the team biweekly or as needed. Building a relationship with the patient’s primary care provider is key as these are the physicians who will be guiding care of the patient after Trauma Medical Home care ends six months following hospital discharge. For example, if the patient is depressed or anxious, the TMH team may recommend cognitive behavioral therapy or pharmacological treatment, sharing a detailed treatment plan with the patient’s primary care physician. Loss or failure to regain expected functional ability may result in a recommendation for an essential change in physical or occupational therapy. The Trauma Medical Home model fills a major gap in health care. Trauma patients typically are seen only once or twice post-hospital discharge by their orthopedist or other surgeon, and these appointments characteristically focus on the procedures performed by the specialists. Post-hospital follow-up care typically falls to the patient’s primary care physician, who is tasked with managing the patient’s other health issues, often during a short office visit. For example, if the patient or a family member doesn’t introduce depression or anxiety as possible concerns, it is unlikely that the primary care physician will be aware of these significant issues. The NIA grant 1R01AG052493-01A1 supports a trial of 430 Eskenazi Health and Indiana University Health trauma patients, half of whom will be randomized to TMH and half to usual care. 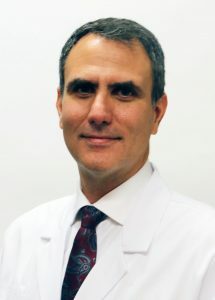 Grant co-PI Dr. Zarzaur is an associate professor surgery and director of the center for outcomes research in surgery in the Department of Surgery at IU School of Medicine and medical director of the Smith Level I Shock Trauma Center at Eskenazi Health. Grant co-PI Dr. Boustani is associate director of the IU Center for Aging Research, a Regenstrief Institute investigator, founder of the Indiana Clinical and Translational Science Institute’s IU Center for Health Innovation and Implementation Science, and Richard M. Fairbanks Professor of Aging Research at IU School of Medicine. 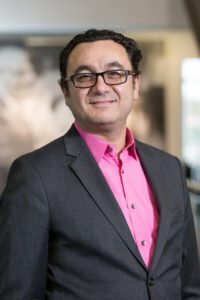 He is founding director and chief innovation and implementation officer of the Sandra Eskenazi Center for Brain Care Innovation.